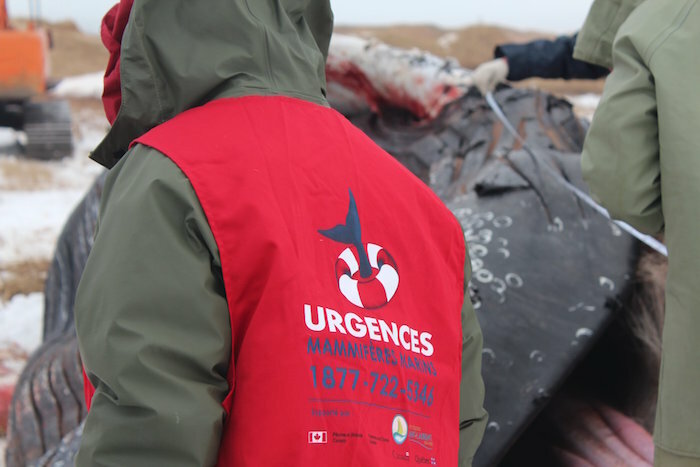 The Quebec Marine Mammal Emergency Response Network (QMMERN) is an umbrella group of organizations and institutions that work with marine mammals. 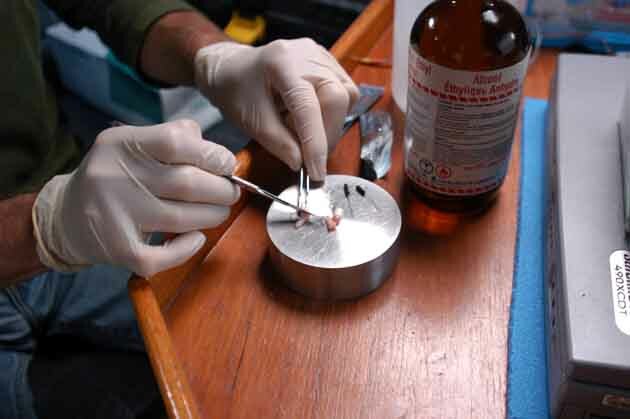 The Network is responsible for organizing, coordinating and implementing measures aimed at reducing accidental mortality of marine mammals, rescuing animals in difficulty, and facilitating the acquisition of data from animals that have died in St. Lawrence waters. The Network receives over 500 calls and handles approximately 300 cases a year. It documents and monitors cases, evaluates whether or not a response is warranted, responds as needed, or provides assistance to specialized response teams. QMMERN revolves around a group of more than 150 volunteers to assist in various types of interventions. The Network contributes to a number of research projects, in addition to helping manage a national data bank. Coordinating the QMMERN and managing its call centre and new intervention program is the responsibility of the Group for Research and Education on Marine Mammals (GREMM), a non-profit organization dedicated to scientific research and conservation education with a focus on the whales of the St. Lawrence and their habitat. Beginning in 2019, the Network will launch an intervention program with mobile response units to cover all of southern Quebec. The selected candidate will be called upon to develop and implement this program, create intervention protocols and consolidate the network of partners and volunteers who can support response efforts. He or she will be responsible for training and coordinating teams and will participate in interventions. The future Director will be required to complete a number of trainings and workshops with various partners of the Network in Quebec and elsewhere in Canada in the first two years of his or her mandate. Under the supervision of the scientific coordinator and in close collaboration with other team members, the individual should be capable of assuming many of the responsibilities outlined below. However, the position will be tailored according to the applicant’s strengths and complementarity with other members of the team. Prepare weekly debriefing meetings with call centre administrator. Support call centre administrator and head of communications in the production of various communication tools. Experience in crisis management and ability to work in the midst of an emergency. Motivated to fill position for at least two years. Scheduled start date: as soon as possible, no later than May 1. Other benefits: friendly working atmosphere in an exciting sector offering the opportunity to work alongside researchers (marine mammals and related fields) and environmental education specialists with years of experience in stimulating projects, office at the Centre Culture et Environnement Frédéric-Back (Québec City) and a stone’s throw away from the Saguenay Fjord (Tadoussac), seasonal social activities, possibility of accompanying research teams at sea. Interested in this job offer? Email your CV and cover letter to reseau@gremm.org. We thank all applicants for their interest; only selected applicants will be contacted. 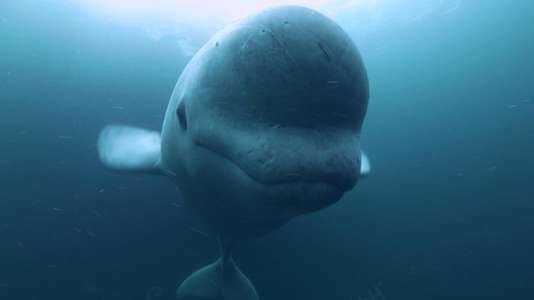 The St. Lawrence Estuary beluga population is considered as endangered since 2014. This small population of about 900 individuals lives in a marine ecosystem that is strongly impacted by anthropogenic activities upstream. 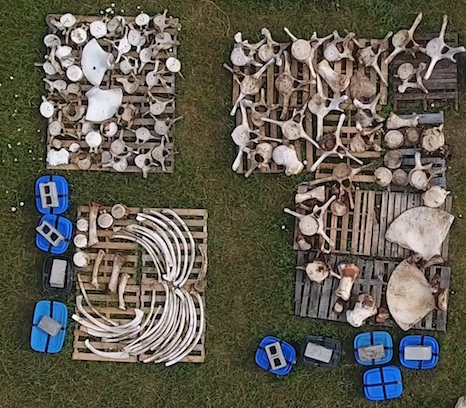 As a result, chronic exposure to environmental contaminants has been suggested as a factor that may affect the health of belugas in the St.Lawrence Estuary and the recovery of this population. In addition, exposure to contaminants that may interfere with thyroid functions such as flame retardants (e.g., PBDEs) has been suggested as a potential cause for the unusually high number of deaths of parturient female belugas and their calves. However, the effects of contaminants on belugas in the St. Lawrence estuary are still unknown. The objective of this project is to study the effects of certain contaminants on genomic markers (gene expression) and hormones involved in the regulation of the thyroid axis in belugas. This project is a collaboration between UQAM (principal supervisor: Jonathan Verreault), Université de Montréal (Stéphane Lair) and Environment and Climate Change Canada (Magali Houde). Master level funding for a period of two years. • Very good command of spoken and written English and French. 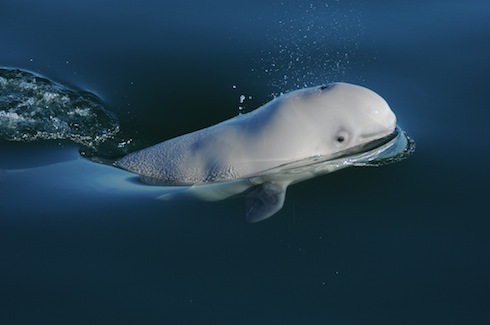 The St. Lawrence Estuary (SLE) beluga has been listed as an endangered species since 2014 by the Committee on the Status of Endangered Wildlife in Canada (COSEWIC). This small population of around 900 individuals inhabits a marine ecosystem significantly impacted by upstream anthropogenic activities. Therefore, chronic exposure to anthropogenic contaminants has been suggested as one factor affecting the health of SLE beluga and the recovery of this population. 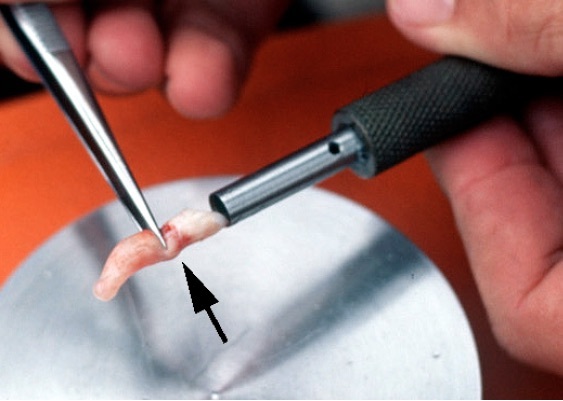 However, the occurrence and fate of many emerging contaminants in SLE beluga are unknown. The objectives of this project are to investigate the occurrence and temporal trend of industrial additives such as synthetic phenolic compounds, ultraviolet absorbents and aromatic secondary amines in SLE beluga tissues. This is a collaborative project with Université du Québec à Montréal (co‐supervisor: Jonathan Verreault), University of Montreal, University of Toronto, Environment and Climate Change Canada, Fisheries and Oceans Canada and GREMM. MSc‐level funding provided for two years. • Good communication skill in English is an asset. 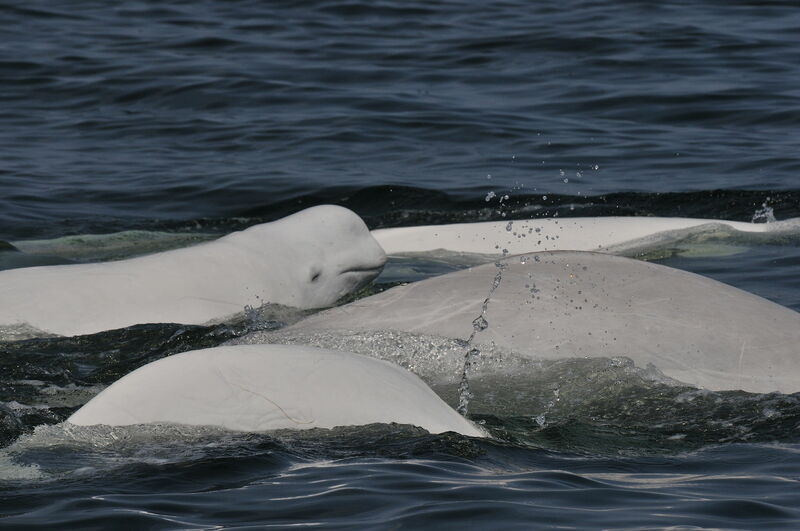 The St. Lawrence Estuary beluga population is currently listed as Endangered under the Canadian Species At Risk Act and the Loi sur les espèces menacées et vulnérables du Québec. Several threats to its recovery related to the navigation activities occurring in the population’s summer habitat are identified such as exposure to underwater noise and disturbance. Mitigating navigation impacts requires a good understanding of the factors underlying the behaviours of habitat selection along with the movements of this species in the St. Lawrence Estuary and the Saguenay (i.e. summer habitat). However, this understanding is currently incomplete because: i) few studies have tried to identify the mechanisms underlying the spatial distribution and movements of the belugas in the summer habitat, and ii) the rare studies did not consider beluga’s social behaviour or group fusion-fission dynamics. This PhD project aims at identifying the factors (biotic and abiotic) explaining the spatial distribution and the movements of beluga groups in their summer habitat, acknowledging that habitat selection behaviours and movements might be influenced by the social and gregarious behaviour of this species. The project will also look into the group fusion-fission dynamics in the beluga’s summer habitat by exploring the conditions (e.g. habitat characteristics, time of day, group size and composition) under which pairs of known individuals are encountered in the same groups or not. This will allow to interpret the spatio-temporal variation in group size and composition and ultimately contribute to explain the spatial distribution of this species in its summer habitat. This project will provide valuable knowledge to improve our understanding of navigation impacts on the St. Lawrence beluga’s habitat selection and movements in its summer habitat. These results will be integrated in a model that simulates the movements of individual belugasvia a collaboration with modellers. This project will be carried out using existing datasets and might also require additional fieldwork to collect new observational data. The selected candidate will be part of the Natural Science Department and will be based in Ripon (QC) at Institut des Sciences de la Forêt tempérée (ISFORT: http://isfort.uqo.ca/). She/He will work with researchers from the GREMM (Tadoussac) and Fisheries and Oceans Canada (Mont-Joli). The desired candidate will show dynamism, motivation, intellectual curiosity and creativity, ability to work independently and as part of a team, along with a great sense of initiative. She/He will be encouraged and supported to travel for scientific communications (conferences, workshops), meetings with partners and stakeholders. The project funding is provided by the Government of Quebec. The selected candidate will contribute to the production of deliverables for the Ministry for Forests, Wildlife, and Parks and Ministry for Maritime Affairs on a yearly basis. The candidate must hold a Master’s degree in biological sciences, or related field. – great expertise in data management and analysis with R software. Application: Email your academic CV (long form), all academic records for bachelor’s and master’s degrees, an application letter (detailing your skills and assets related to the project requirements), and the name and contact information of 3 academic references to: angelique.dupuch @ uqo.ca, clement.chion @ uqo.ca, rmichaud @ gremm.org, veronique.lesage @ dfo-mpo.gc.ca, and tyler.bonnell @ uleth.ca.